Please contact us at Farley Dwek for an informal discussion regarding your requirements. 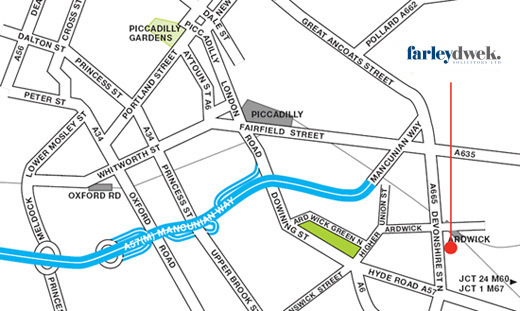 Universal Square is located within 5 minutes of Manchester City Centre close to the Mancunian Way and Piccadilly railway station. It is also very accessible from the M60. There is easy access for disabled clients and plenty of visitor parking on-site.